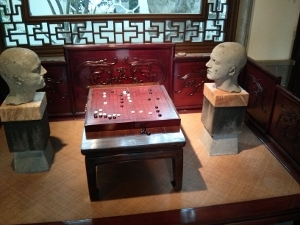 These go players are part of a new display at the Seattle Asian Art Museum. Thanks to SAM curator Pam McClusky for passing this along. 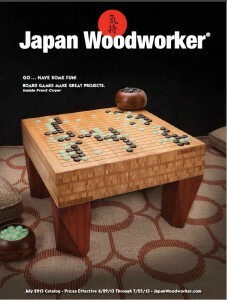 A custom-made go board is featured on both the July 2013 edition cover of The Japan Woodworker Catalog and the August 2013 Woodcraft catalog. 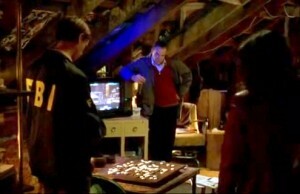 A post on the Woodworking Adventures blog describes both the construction of the board and the game of go. “This is a great family project and game piece,” says the blog. “Great for all ages to keep your minds sharp, worthy of ‘Spock’ like mentality. Head to your woodshop, build one of these, learn to play, live long and prosper, but most of all, ‘GO’…have some fun!” Thanks to David Doshay for passing this along. 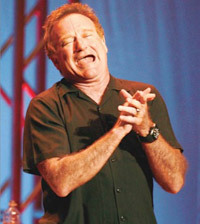 What do Pop Art sculptor Arman the Artist, sci-fi writer Ursula Le Guin and comedian Robin Williams have in common? They’re all listed on “Celebrities who have played Go,” a fascinating page on the British Go Association’s website. Arman the Artist’s “obituary reported that he played a bit of Go in his apartment after retirement,” Le Guin’s The Left Hand of Darkness “mentions Go in chapter 16” and Williams “is known to be a big player of games, including computer and role-playing games, and is known to have bought a Go board and stones.” Check out the page for go tidbits about other go-playing notables, including Albert Einstein, Bill Gates, Alan Turing and more. 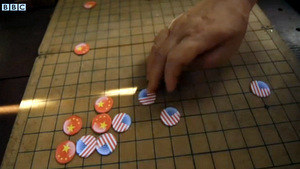 A July 9 BBC report illustrates a report on “What’s really going on with the yuan?” with scenes of Chinese go players in a park playing with discs emblazoned with US and Chinese flags as the report explores charges that China is manipulating its currency to boost exports. Thanks to spotters Martin and Helen Harvey for passing this along. Legendary British folk musician, the late, great Bert Jansch was keen on go. 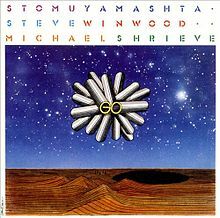 He used to play often with John Renbourn, a fellow member of British folk-rock band (The) Pentangle, whom he had befriended on the UK folk circuit. In 1966, year before the formation of Pentangle, they recorded an album together, Bert and John (1966, Transatlantic, released in America with extra tracks 1969, by Vanguard, as Stepping Stones). 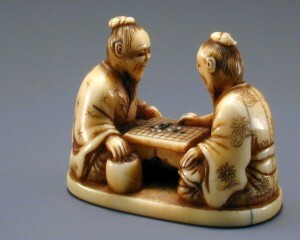 The album’s cover picture shows the pair enjoying what looks to be a rather peaceful game of go. The 1992 film of Bert Jansch’s career, Acoustic Routes, was re-released UK-wide and on DVD earlier this year. It is a documentary presented by top British comedian Billy Connolly, who was a good friend of both musicians and who performed on the circuit as a banjoist before breaking through as a comic. In a recent Jansch retrospective on BBC Radio2′s Folk Show, Connolly recounted in an interview with presenter Mark Radcliffe how Jansch and Renbourn played go continually between takes during the filming. Sadly, although a clip of the interview is still available, this anecdote was edited out. 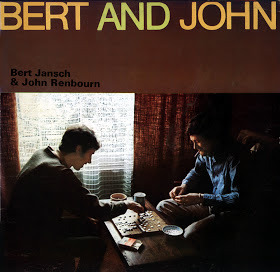 Jansch and Renbourn feature in the British Go Association’s page of famous westerners who have played go too, where a link to more pictures of the two playing go can be found, taken from the booklet issued with the CD of Bert and John. 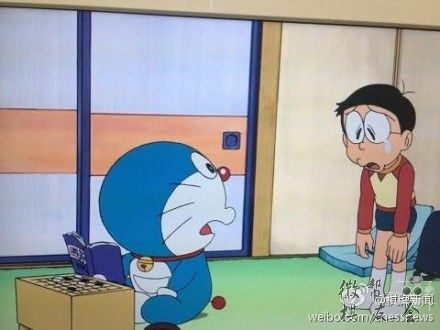 Doraemon is seen studying go in an episode of the popular anime. The series is about a robotic cat who travels back in time from the 22nd century to aid a fifth grade boy, Nobita (seen in the background at right). Doraemon debuted in 1969, and became one of the longest running anime in Japan, and was also a huge hit in China. It is regarded as a Japanese cultural icon, and generations of kids have been gently influenced by the charming cat and his wise lessons. Image from weibo.com/chessnews, thanks to Taylor Litteral for the suggestion. 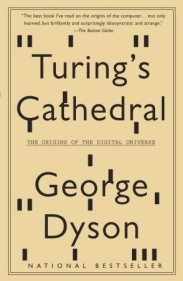 In “Turing’s Cathedral“, author George Dyson’s description of Princeton’s Fuld Hall – where the Institute for Advanced Studies was to be housed – includes this line on page 90: ‘ A chessboard (and later a Go board, favoured by Oppenheimer’s young particle physicists) sat near the windows overlooking the Institute Woods.” Dyson’s account reveals how the digital universe exploded in the aftermath of World War II, illuminating the nature of digital computers, the lives of those who brought them into existence, and how code took over the world.